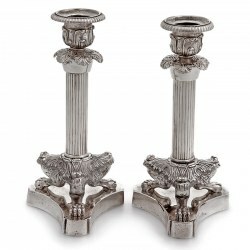 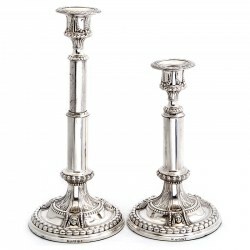 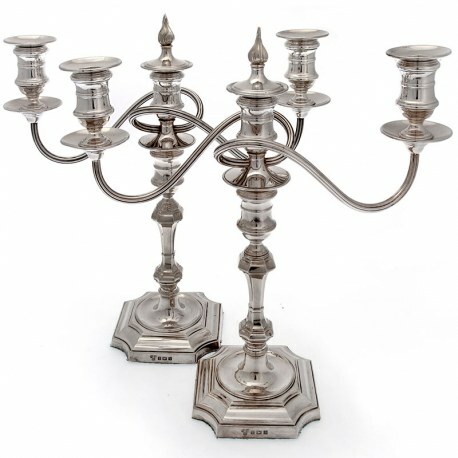 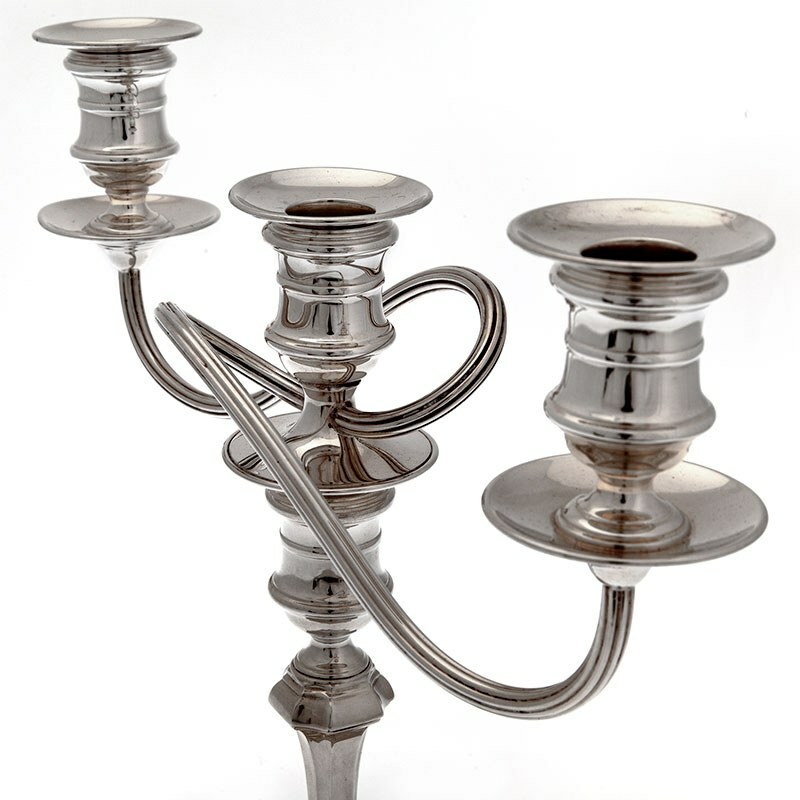 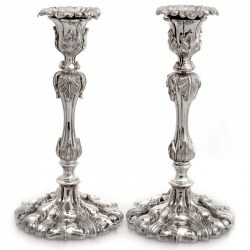 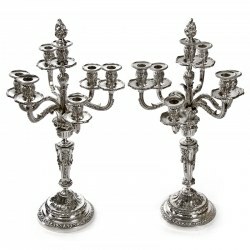 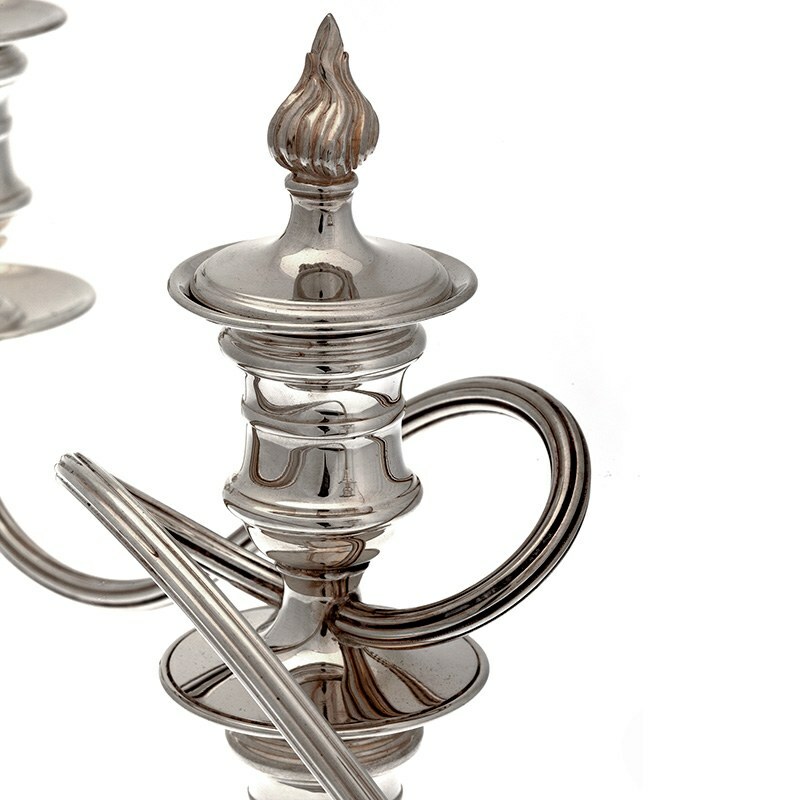 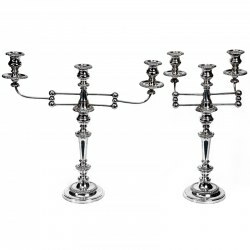 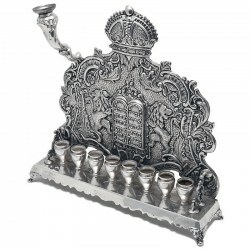 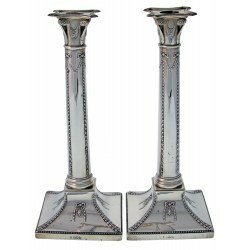 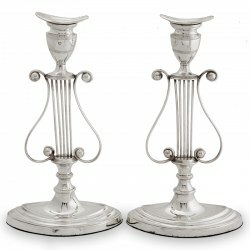 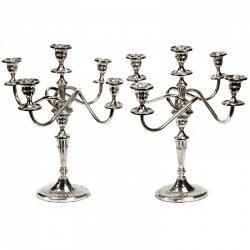 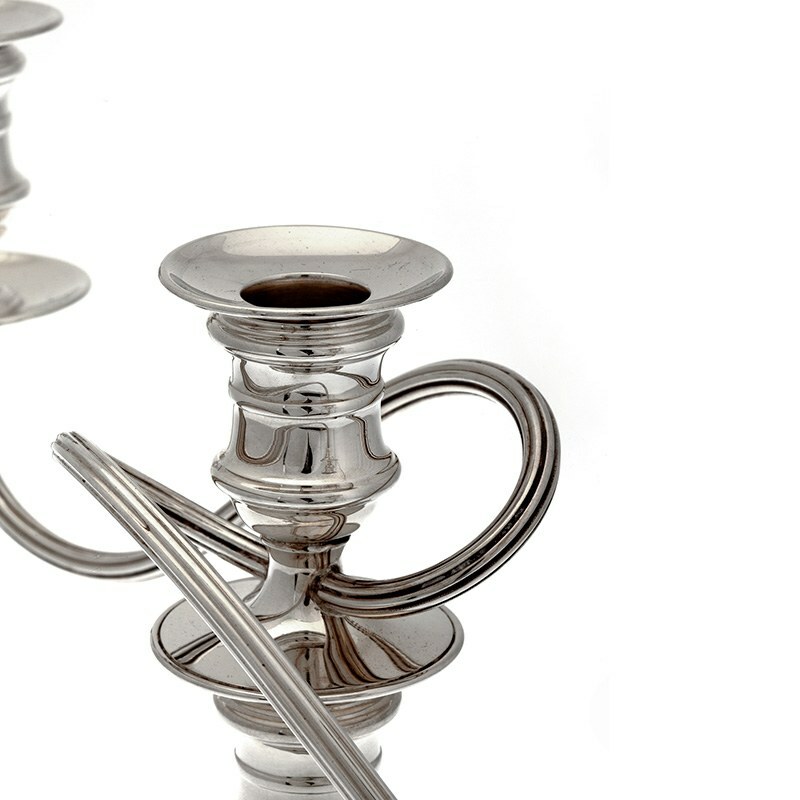 An elegant pair of George II style silver candelabra with detachable three light branches and nozzels. 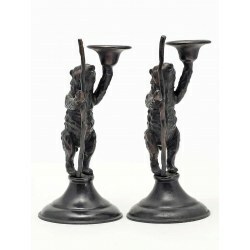 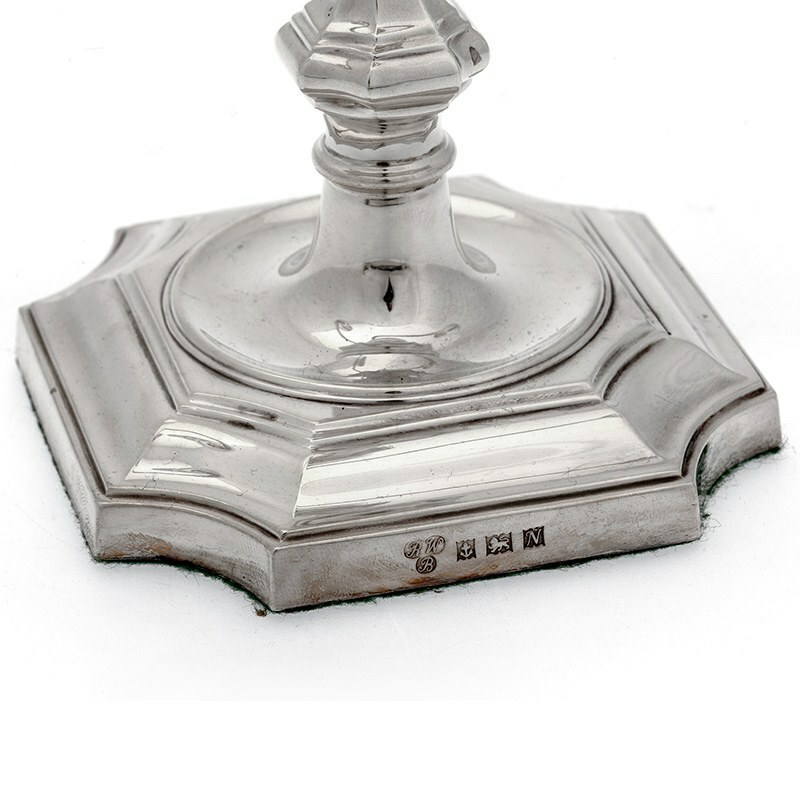 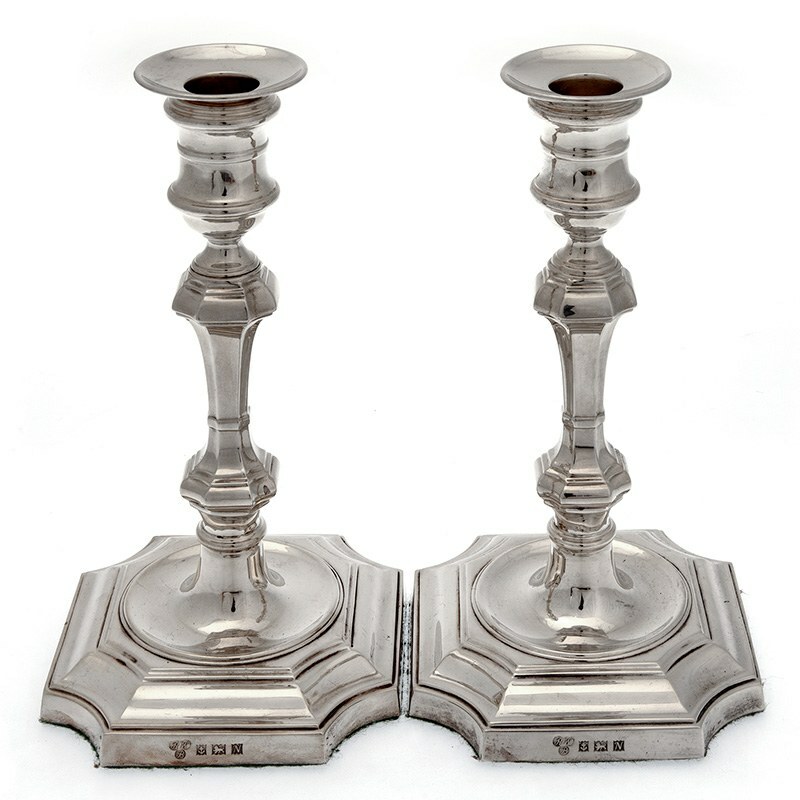 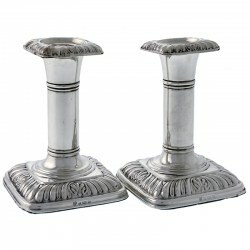 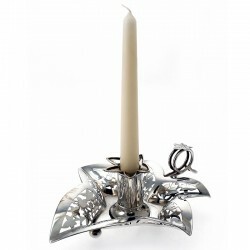 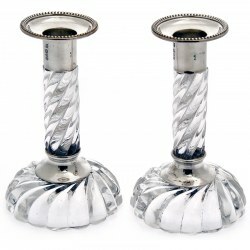 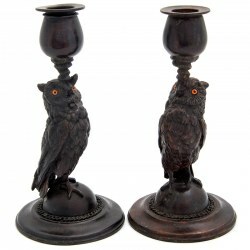 The candlesticks have knobbed stems and sunken centre square shaped bases. In very good original condition.